Give your local non-profit and civic organizations an edge on success by helping them to tap into proven successful grant writing services. The Grant Writing Services is open to any non-profit or public entity in Northwest Kansas. Affiliates and Partners of the Greater Northwest Kansas Community Foundation may request assistance or refer organizations in which they have funded within the past five years from our grant writing services at a discounted price. Click HERE to download the full brochure of services. Our goal is to help Northwest Kansas get funded! Have an idea that you’ve been kicking around but not sure if it is a fundable opportunity? Or, not sure where to begin with getting a project funded? Our grant expert will meet with you to discuss the idea and get it placed on a grant watch list. If we find a matching funder, we will notify you of a potential opportunity—no strings attached. This service is free to our Affiliates and Partners. With this service, our certified grant writer can help review your grant application for a nominal fee. We will help identify any critical gaps or make suggestions to strengthen your application to improve chances of your application being funded. We can also provide final editing to ensure the proposal is polished. Tackling a grant application can be daunting. Once a grant opportunity is identified, we will step in to assist with the entire application process including reviewing all requirements, writing the narrative, budget preparation, diagrams, logic models, and other supporting documentation. This process requires close collaboration with a project stakeholder that is willing and able to assist with obtaining approval from organization leaders, letters of support from community members, and quotes from vendors to complete the project. This service is provided for a fee that is based on the estimated work involved in applying for a specific opportunity. The majority of grants require detailed financial tracking and strict reporting requirements once awarded. Our grant administration service will track all required actions and ensure your award is compliant with the grantor’s fiscal and reporting criteria. This service is provided for a fee that is based on the the estimated work involved in administering the grant. No. Unfortunately, GNWKCF staff have no way to guarantee that submitted grant applications will be funded. We can guarantee that the proposal will be professional and well written for serious consideration by the grant review committee. How can our organization qualify for Affiliate Pricing? If your organization has received any funding from one of our Affiliates within the past five years, then you can receive approval from that organization for the discounted pricing. How qualified is your grant writing staff? Our grant writer is Carol Sloper. She is a native to northwest Kansas, born and raised in St. Francis. Carol is a certified grant writer through Fort Hays University’s Grant Writing Program. 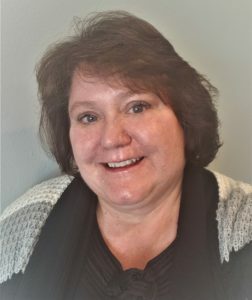 Her first experience with the non-profit world was in 1991 when she was the Assistant Director of Information Services for the Colorado Association of Nonprofit Organizations. Since returning to Cheyenne County Kansas in 2012, she has successfully written nearly $2 million in grants that have impacted our local communities. What types of grants do you have experience writing? How can I find out what grants are available? These days, the internet is your best friend when searching for grants as many grant opportunities are posted online. There are still some organizations that privately issue formal requests for proposals, so it is important to get your organization listed on a mailing list for funders that have missions that align with your organization’s vision. Our grant writer also tries to maintain a list of reoccurring grant cycles to help match funding opportunities to organizational needs. You can set up an initial consultation with Carol to share your “wish list” so she can keep your organization in mind when she learns about new opportunities. Leads are shared freely as our goal is to GET NORTHWEST KANSAS FUNDED! Feel free to peruse the presentation Carol presented on June 6, 2018: Looking Beyond Hansen For Funding Webinar. Why can’t the grant writer help with Hansen Grants? Our grant writer assists in processing all of the Dane G. Hansen Community Grant applications for ten counties in Northwest Kansas. We believe it would be a conflict of interest to both review and write applications in this case. *Affiliates may request assistance or refer organizations in which they have funded within the past five years from our grant writing services at a discounted price. Click HERE to download a printable brochure of the grant writing service. Contact us at 785-734-2406 or info@gnwkcf.org to receive a quote based on the grant opportunity. Note: This fee is in addition to the Grant Writing Services Fee if grant administration services are desired. This service is not available for Dane G. Hansen applications or applications directly to an Affiliate or Partner grant. Grants requiring significant required travel may have additional travel fees added.